One of the great pleasures of being an amateur naturalist is never quite knowing what you will stumble across around the next corner. You can start with an itinerary beforehand, do research in books and on online but however rigorous your preparations, things very rarely go according to plan. Today, we ventured to Slapton Ley. 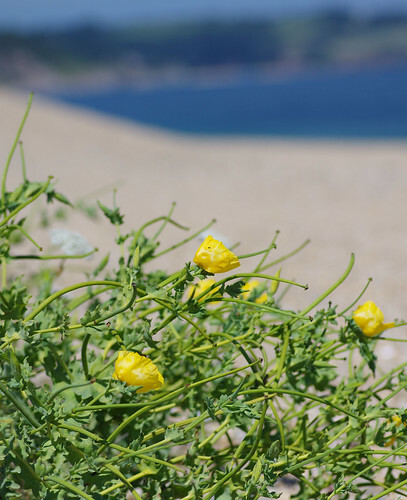 We began by looking for an extremely rare plant called strapwort but soon got sidetracked by a whole host of other things along the shoreline of the lagoon. 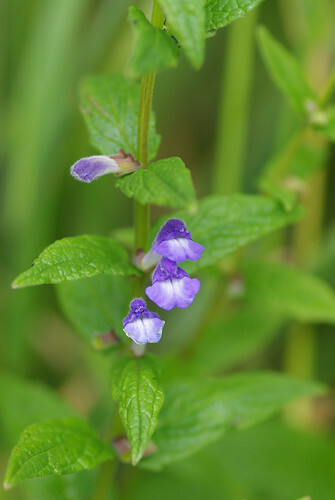 The wonderfully named skullcap was just off the main path, growing close to the water's edge. 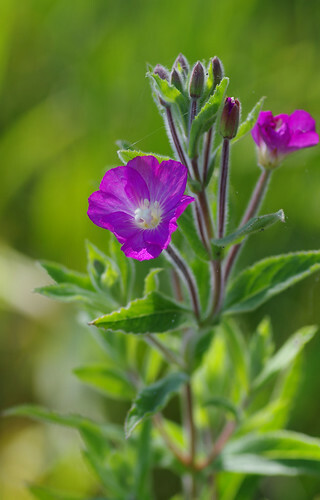 Nearby, the striking Purple-loosestrife, tall and swaying in the breeze vied for our attention, as did a couple of Great Willowherbs. 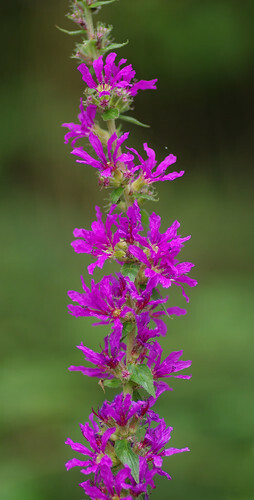 Our walk was becoming a veritable wild flower bonanza! Along the way, we kept our eyes peeled for butterflies. During the latter part of the morning they were busy in flight, in and out of glades further along the path but after lunch they took a well-earned rest. We saw both the Comma and Peacock varieties descend to the boardwalk path to catch some rays and elsewhere we saw a Red Admiral and lots of Ringlets scattered about. 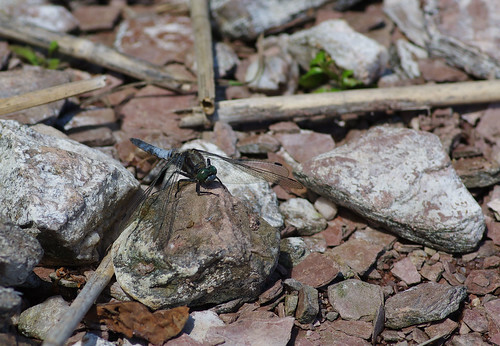 On the route back, a Black-tailed Skimmer was patrolling his patch. Dragonflies, are by nature territorial, and although they are prone to fly back and forth, will often return to the same spot. We stayed in the same place and the Skimmer obliged by coming back again and again to perch on the same rock, positioning his wings forward. Of course, no visit to Slapton would be complete without a detour to the shingle ridge. The Reserve is well-known for its Yellow-Horned Poppies and they appear on some of its signs. The horns in question are magnificent and are more like the tusks of mammoths in proportion to the flowers themselves.